The 2015 FIFA Women’s World Cup kicks off in just a few weeks, and we’re previewing the tournament with a view to finding some value bets for the outright winner. The competition will be held in Canada this summer, from the 6th of June to the 5th of July. 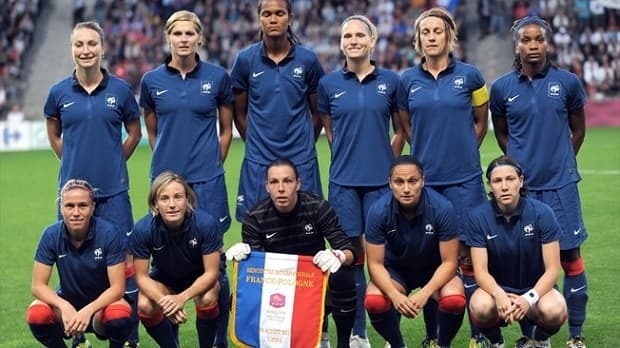 The initial outcry over plans to play the whole tournament on artificial pitches has subsided to begrudging acceptance, and it promises to be a fascinating showcase for Women’s football. This is the 7th renewal of the Women’s World Cup, and it has been expanded from 16 to 24 teams for the first time. The teams are divided into six groups of four, from which the top two teams qualify, along with the four best third-placed sides. From there it takes on the usual format of a knockout competition leaing up to the final in Vancouver. In terms of history, the previous six World Cups have been won by four different teams, with the USA and Germany both taking two trophies each, Norway claiming one back in 1995, and Japan winning the most recent tournament in Germany in 2011. Understandably USA and Germany are the clear favourites for the competition, and both are deserving of their places at the head of the market – particularly the USA who will have strong support from those traveling across the border. However, both are plenty short enough at the odds, and current holders Japan, hosts Canada, and Brazil will all present a formidable challenge, while we think both France and England look much too big at the odds, and are worth backing on an each way basis to finish 1st or 2nd. The USA are arguably the best side in Women’s football at the moment, and in Abby Wambach they have the most prolific international goalscorer of all-time in the men’s or women’s game, with 177 international goals to her name. She’s only managed 29 domestic games over the last two seasons, but contributed 17 goals and 12 assists in those games, and her goals will be vital to the USA’s success. Another key player will be Carli Lloyd, who scored the winner in both the 2008 and 2012 Olympic successes. After those two Gold medals, the USA team will be looking to add a World Cup trophy which has eluded them since 1999. They finished runners-up last year to Japan, after losing the final on penalties, and have finished third in every World Cup where they haven’t made the final. Barring disasters they should be nailed on for a place in the semi-final at least. The same could be said of Germany, who were bitterly disappointed to be knocked out at the quarter-final stage of their own tournament in 2011. Prior to that they had won the previous two World Cups, so would have expected to make it three out of three, and it’s been a long four years of waiting to make up for it. They have a relatively easy group here, with Ivory Coast, Norway and Thailand, so should progress to the knockout stages quite easily. The German Under 20 side won their World Cup last year, and that indicates that the squad has some good young players coming through. They could be in something of a transition period, though, and make slightly less appeal than the USA of the two favourites. Brazil are particularly short in the betting, considering they’ve only reached the semi-finals of a World Cup twice, and have never won it. They did manage a win and a draw in friendlies with the USA recently, which is possibly affecting their odds, but they have also been soundly beaten by Germany and France, and it’s not hard to imagine that it would be a different story against the USA in a competitive match. Japan come here as defending champions, and they also beat Canada twice in a recent friendly tour here. Their World Cup victory was considered something of a shock though, and they face a tough task to retain the trophy. In their favour is the fact that they are the only team in their group to have played in a World Cup before, and their experience should stand them in good stead. Can be expected to make the quarter-finals at least. France look much better value, and can be backed each-way to make an appearance in the final, with most bookies paying half the odds for a top two finish. Although they’ve never reached a World Cup final before, they finished 4th in the 2011 World Cup and the 2012 Olympics, and in 2014 they had victories over Germany, Sweden, Brazil and England. They have one of the best midfielders in the game in Louise Necib, and will receive plenty of support from the French-Canadian community. They compete in the same group as England, and both share the same profile of improving, hungry sides. Canada are bound to be popular playing at home, and will receive plenty of patriotic support, but they make little appeal from a betting perspective. They aren’t a bad side by any stretch, but you can’t help but feel their price would be considerably larger if this World Cup was being played anywhere else. The other team that catches the eye more is England, at what looks a huge price. Admittedly England’s best finish at a World Cup has been a quarter-final, but there is renewed optimism among the squad after Mark Sampson took over the reins from Hope Powell, and has recalled several players who had been frozen out under the previous regime. England won all ten matches in qualification, scoring 52 goals and conceding just once, in an impeccable campaign. They are 6th in the World rankings and look very much a side on an upward curve. They may not have quite enough to win, but they could cause a few shocks and look massively overpriced.